A Dix Hills resident and father of 2 has been missing since the middle of June. The search and investigation for Robert Mayer is ongoing. Robert Mayer, a Dix Hills resident and lifelong Long Islander originally from Old Bethpage has been missing for over a month. A husband and father of 2, he was last seen on June 14th at Arrow Scrap in West Babylon around 2:15 PM; information on his possible whereabouts has been scarce since. 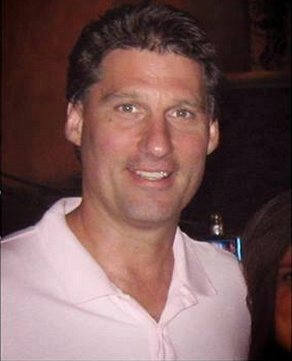 Mayer is a 6’1” white male, age 46 with brown hair and hazel eyes. He is presumed unshaven and was wearing jeans, work boots, and a gray collared polo with a J.G. Electrical logo on the day he vanished. He left his wallet and ID at home that day, though he may simply have neglected to bring them as he left for work around 4:30 AM. A union electrician working for Local 3, Robert greatly preferred driving to jobsites over other forms of transportation. He was working on a theater at 262 Ashland Place in Brooklyn—a job which had been underway for several weeks and was not yet complete—where he is confirmed to have been on the morning of June 14th. Ida Mayer, Robert’s wife, last spoke to him at 9:00 AM while he was still at work. Company records show that his cellphone was last pinged near Melville, which he was likely driving through on his way home, at 1:45 PM before going dead or being shut off at 2:45 PM. Records show no unusual activity on the phone which, contrary to earlier reports, has not been recovered. Neither the phone nor any of Robert’s credit cards have been used since. Despite last being seen at the scrap yard in West Babylon, Robert’s car (a 2004 red Pontiac) was discovered by a family friend at the Deer Park train station of the LIRR’s Ronkonkoma branch. The car was locked and its keys have not been found; a green mountain bike belonging to him is also realized to have gone missing. Peculiarly, the driver’s seat had been moved closer to the steering wheel than Robert usually kept it. Though he would sometimes meet with coworkers to travel into the city, Ida says that he would not allow anyone else to drive the Pontiac, describing him as “very possessive of his car.” Robert is also not fond of taking trains, abandoning that method of commuting 5-6 years ago, and is particularly distrustful of the Deer Park train station. A lack of security presence and surveillance cameras at the station made him worry that his car, like many others, would be broken into if he left it there. “He… didn't trust that train station as there are many cars broken into. If he were to take that train he would borrow another car to leave at [the] station,” said Ida. That absence of cameras also means there is no footage of Robert or his car entering the station. Police dogs searched the area within a day of the car’s discovery, as well as the grounds of Pilgrim State Psychiatric Center (though they did not sniff the Arrow Scrap yard), but did not pick up his scent. Investigators also examined video from a nearby candy store which has a security cam, though that does not seem to have turned up any clues. Robert is described as having been in good mental health and leading a happy life; he loved his family, friends, home, and yard, and had a trip to Italy planned for July 7th. Local hospitals have been checked, flyers have been handed out in areas Robert may have been, and several searches have been conducted, but his location is still unknown. Anyone with information that could potentially be relevant to the investigation is encouraged to contact the Suffolk County Second Police Squad at 631-854-8252. Update: August 8th, 2013: On this Sunday, August 11th, there will be a new search - volunteers will be meeting at the Deer Park Train Station in the Parking Lot at 10 AM. All of the details can be found here, in the Robert Mayer Search Group's Facebook Event Posting. Photos of the Robert Mayer searches at Edgewood Preserve and at the Deer Park Train Station courtesy of Bob Savage. Subject: LongIsland.com - Your Name sent you Article details of "Dix Hills Man, Robert Mayer, Missing for Over a Month"